When it comes to learning an instrument, there are a lot of ups and downs. In fact, the path to being a musician is almost never a straight line; rather, it’s a curvy, windy road filled with lots of successes and a few inevitable setbacks. While it would be nice to progress at lightning speed, the fact is progress can be slow at times or even stand still all together. But don’t get discouraged by a temporary down slump! Here are three common reasons why your progress might be slow, and how to fix it. When learning something new, it’s important to focus all your attention and effort on the task at hand. That’s why having a distraction-free, designated practice space that inspires and motivates you is so critical to success. An ideal practice space is one that is organized, comfortable, and propels you into work mode (aka no interruptions or nuisances to break your focus). You’ll be surprised at how a true practice space can accelerate your learning. Find a space either at your home or elsewhere to set up a practice space that will propel you forward towards your goals, and be sure to turn off your phone for even better results! Yes, believe it or not, there is a right and a wrong way to practice. Practicing without intention or purpose won’t get you anywhere. You should begin every practice session with an agenda or a set plan of what you want to work on that day. A structured practice session is significantly more effective than an informal, loosely constructed one. Try sticking to a regular practice routine and be sure to set objectives and goals for your practice session to help you stay on track and focus your efforts. If you’re not good at creating a structured practice routine for yourself, try music lessons instead. There are all types of music lessons available, from guitar lessons to voice lessons and everything in between. 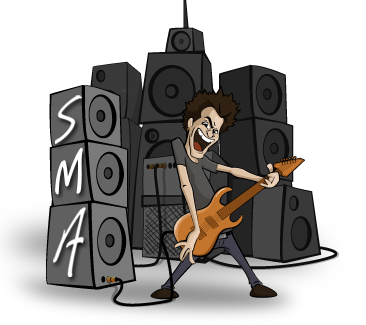 One of the biggest advantages music lessons offer is the personalized, one-on-one feedback and attention you get from an experienced instructor who’s been in your shoes before. Overall, music lessons are a great way to make the most out of practicing and supercharge your efforts. What we all wouldn’t give to go to sleep a newbie musician and wake up with the singing powers of Adele or the guitar playing skills of Jimi Hendrix! But, unfortunately, it just doesn’t work that way. One of the biggest misconceptions some of our Scottsdale and Phoenix music students have is that learning to play an instrument is easy peasy and progress happens overnight (if only that were true)! Having unrealistic expectations or setting unachievable goals for yourself will only hinder your progress in the long run and dampen your passion for music over time. If your progress is slower than you’d like, make sure you’re being realistic about your goals, and be sure to give yourself some slack! Try setting small, attainable goals for yourself rather than large, broad ones. Keep in mind that progress will be slow going at first, but sometimes that’s ok! Each step forward will result in big gains later on. 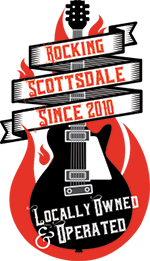 For even more help achieving your music goals, sign up for our fun and educational music lessons or stop by our Scottsdale studio to learn more!